Today on facebook I found out about ReRun Inc., a nonprofit organization which helps throughbred ex-racehorses find new homes. The program tests the horses before they are accepted and then rests and rehabilitates them as necessary. Through this organization you can adopt a new horse or help to sponsor those who are looking for a new life. The horses in the program are kept at farms across the United States. Horses in the different areas have pictures, biographies, and prices listed on the website. 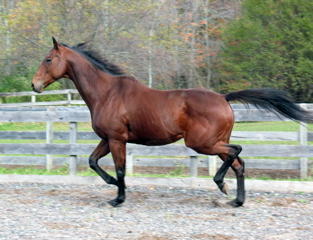 The above picture is of Sheikwithpleasure, a 12 year old gelding, who is available from the company’s New York Chapter for an adoption fee of $950. Above is Buddy (Marrakech Sunset), from the New Jersey Chapter. 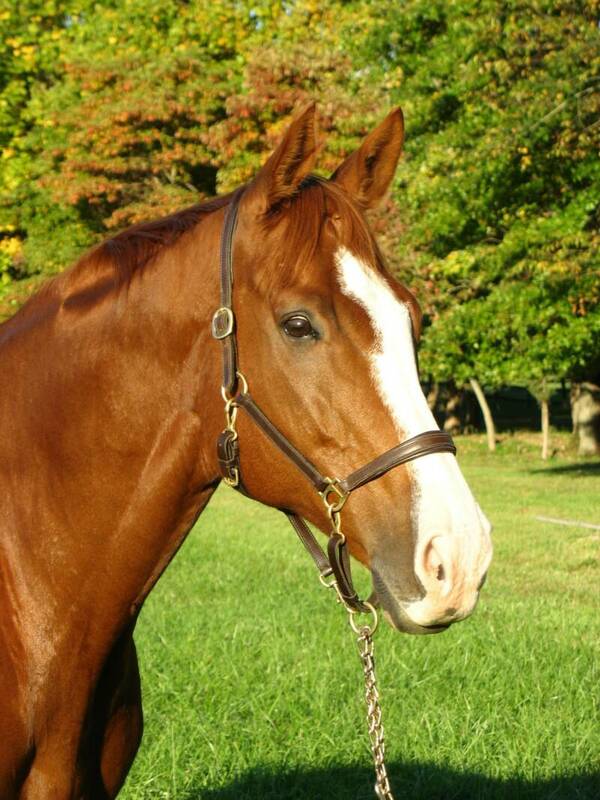 He is a 12 year old chestnut throughbred gelding. His bio touts him as a very safe horse who because of arthritis can walk, trot, and canter but not jump. His adoption fee is $950. Here is a picture of Point Given doing his artwork. 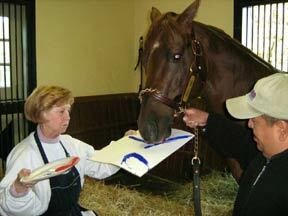 This picture is of Smarty Jones and his work. 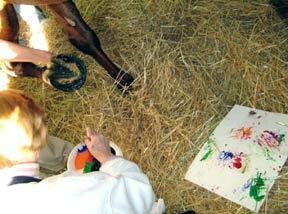 To see more of the horses available, see more artwork, and learn more about the organization visit Rerun.org.